As I walk into the sanctuary, I quietly sit in my usual seat—the same place I’ve been sitting since coming back to my home church where I attended while I was being sexually abused. The church where no one knows what happened to me. No one speaks to me about it or anything else. No members offer to pray for me. No one hugs me. This is church. Isn’t it supposed to be comforting? I spent the first couple of years on disability so depressed I didn’t come to church. No one came to see me or call. Now I’m back, but I’m invisible. The pastors say they pray for me in staff meetings, but this brings me little comfort when I need people surrounding me with love and support. I need people praying with me, not about me. I don’t blame you for being scared. It’s a scary issue. A complicated one. How can you help? What can you do? Here are seven ways to help. 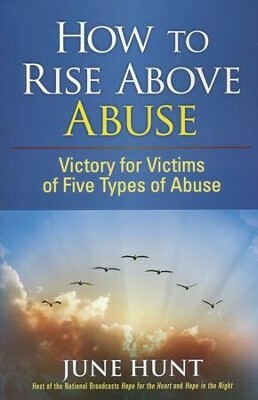 Whether you realize it or not, your church is full of current sexual abuse victims, survivors, and abusers. The statistics show it, and the people prove it. Most survivors never report it. I didn’t. Fewer than 4 in 10 rapes are reported to the police. Only 12 percent of child sexual abuse is reported. Think about your congregation. Look out over them on a Sunday morning. As many as 1 in 4 girls and 1 in 6 boys will be sexually abused before they turn 18. Around 44 percent of women and 23 percent of men will be victims of some form of sexual violence during their lifetimes, according to a CDC study. This includes people in your congregation. The church is not excluded from these numbers. Don’t be afraid to use the two words: sexual abuse. One of the hardest steps for those of us who have been sexually abused is opening up and sharing. We already endured the abuse, but now we need healing. And who better to be there for us during healing than the church? Yet it is the last place I have been able to find help. The church is quick with judgments about forgiveness and forgetting the past. Sexual abuse survivors need time to heal before these things happen. Connect survivors with professional help. From my experience, most pastors should not try to counsel us. This could be shaming for us if you are not trained in dealing with sexual abuse. We already struggle with shame because of what was done to us. Simply being given Bible verses or being told to forgive or just trust God to get us through is invalidating the abuse we endured. It makes us feel ashamed for telling our story and shuts us down from wanting any connection with the church. It makes us feel as if we were the ones who did something wrong. Instead, the best thing you can do is listen and pray with us. Recommend therapy, and especially a trauma therapist. Do some research in your local area for recommendations. Encourage openness from the survivor and the congregation. Ask your congregation for people who are willing to befriend abuse victims. Then, have a trauma therapist or someone similar come in and educate about how survivors feel, about shame, and how people can help. People who befriend survivors don’t have to be therapists. They just need to validate what the survivor says by listening. We all are broken, yet we all hold great possibilities in Christ. Don’t let survivors become isolated. Because abusers have broken our trust, we will tend to isolate ourselves. Don’t let us do that. It’s going to take time after time of people consistently reaching out for us to trust you. People need to just be there for us, regularly, and be willing to feel the pain with us. Don’t try to give us a solution because you are uncomfortable with the pain we feel, or rescue us from our pain before we make our way through it. This is invalidating. We need people willing to hear our story and see our scars without trying to fix us. Just listen. Pray. Walk beside us. Help survivors think about something else. A huge part of supporting is for our friends to not always allow times together to focus on the trauma, but to do things that are fun and balance the relationship. This is hard for us as trauma survivors, but it is needed. Lead your church to help. I challenge you to be open to helping those in your congregation who have been sexually abused. We are hurting, waiting, and longing to be loved, helped, and embraced by the church. Will you be Christ to us? SUSAN M. CLABAUGH (@susanmclabaugh) is a writer living in Missouri. She is a childhood sexual abuse and assault survivor who is still currently on her recovery journey. Read more from her at her website: SusanMClabaugh.com. Excellent Suggestions for ministering to Survivors. Having been in Law Enforcement for 25+ years I have seen the effects and the trauma that sexual abuse has on survivors. Insightful and, for those of us in Leadership Positions, both convicting and challenging. Thank you Clay for those words. It was my hope it would be convicting and challenging. As a survivor I can only pray it makes a difference. Thank you Clay. I am a survivor and I struggle with the silence of our congregations, even though I do work in my denomination around raising awareness and combating this awful tragedy.